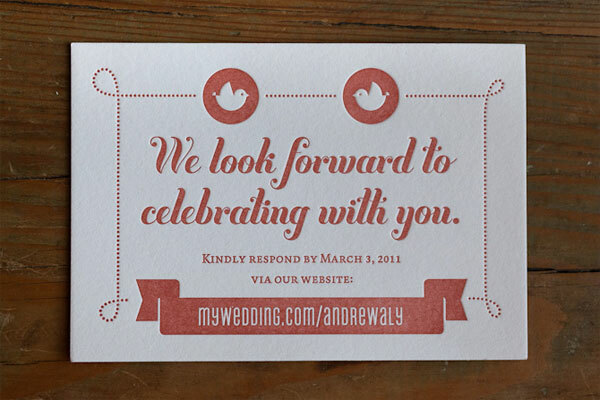 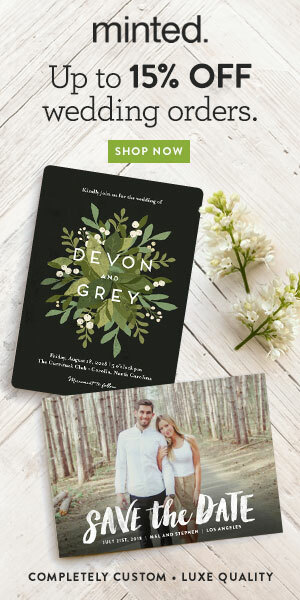 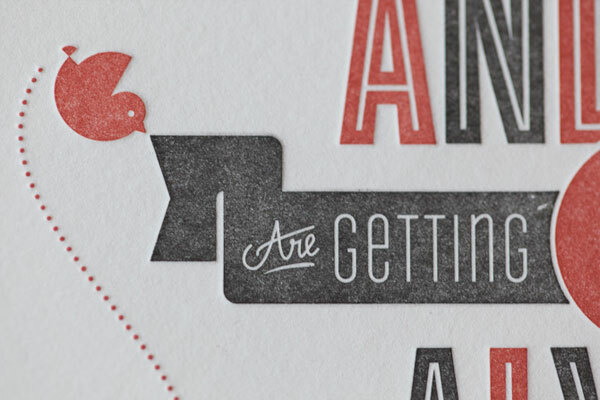 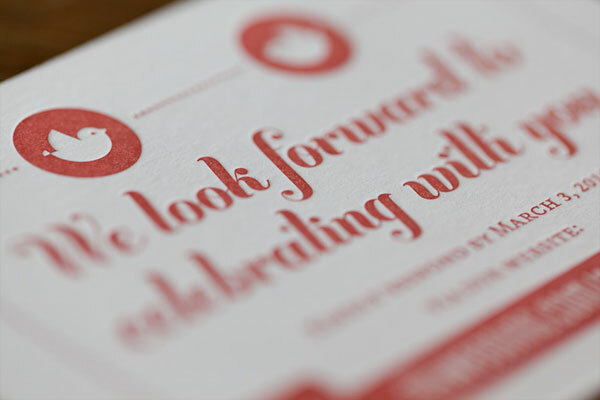 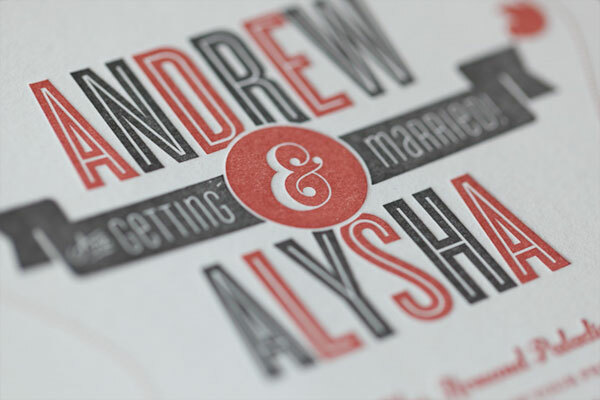 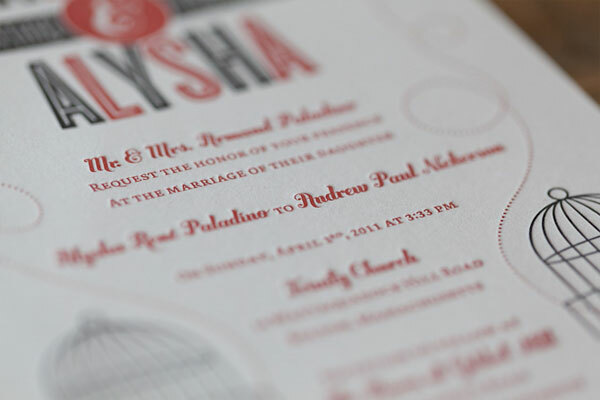 Pinterest is such a great resource for visual inspiration, and I love it even more when I come across a pin that helps me discover a fabulous invitation design, like these mid-century modern letterpress wedding invitations by Seth Nickerson (printed by Mama’s Sauce), who created the suite for his brother and his fiancée as a wedding gift. 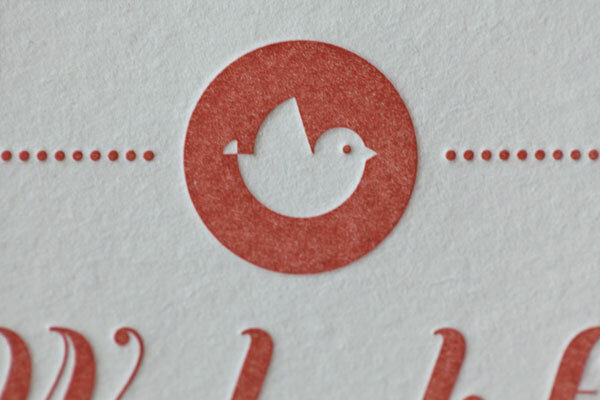 Ah, the gift of great design. 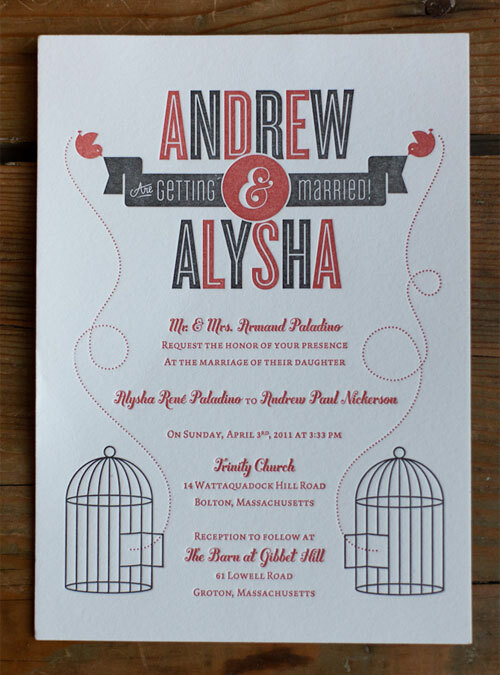 This oh so sweet suite has fantastic mid-century modern elements – banners, typography, illustrations – and features two birdcages and cute birdies which symbolize the couple coming together in marriage. 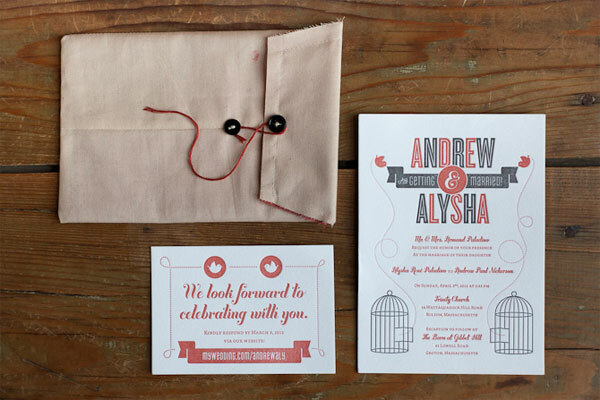 The invitations were sent in super cool homemade fabric envelopes, too!